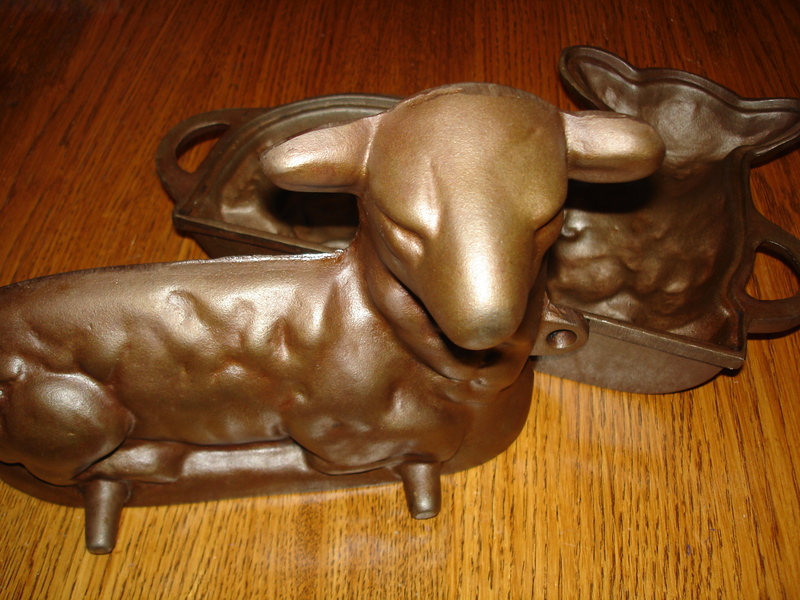 It has been a family tradition to have a Lamb Cake Mold to bake a Lamb Cake for special occasions in our family. But growing up with four sisters , well not all of us could inherit Moms Lamb Cake Mold. So when my hubby and I decided to stop in at an antique mall in Missouri … Guess what I found! You guessed right! I could hardly believe my eyes! A Cast Iron Lamb Cake Mold in very good condition! Well, since I had a little bit of $$ burning a hole in my pocket, I decided to remedy it! So I bought it! Mix altogether very well. Pour 1/2 of the batter into a very well greased and floured mold in the face side down . Put the other half on top for a lid. Bake it in a preheated 375 degree oven for 25 minute. Flip the mold over and continue baking for 25 more minutes. Take it out of the oven and let set for 10 minutes. Very carefully remove the back of the lamb mold. Let it set for 10 more minutes. 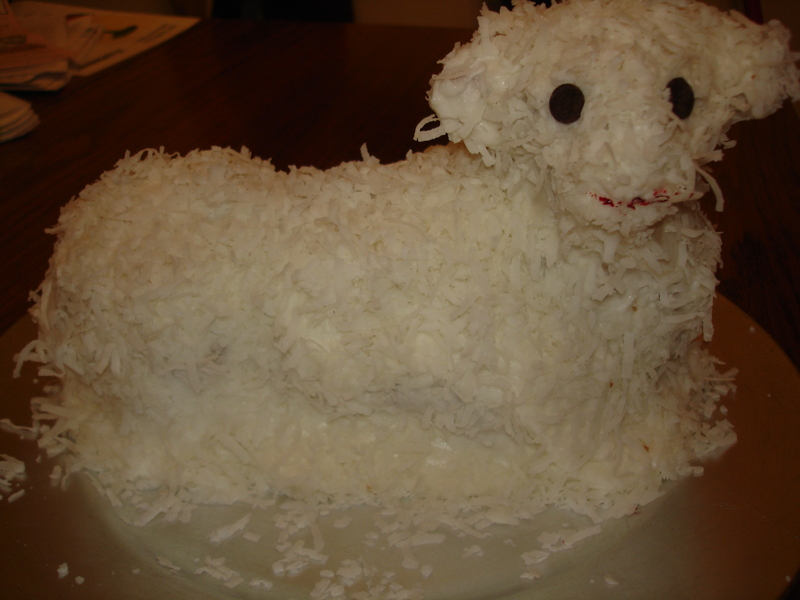 Gently dump the lamb cake out of the mold. Set it up on its ‘feet’ . You may need to prop it so it won’t fall over. Let it cool completely then put icing on it and sprinkle it with coconut to look all woolly! Add chocolate chips for its eyes. Add a red strip of licorice for its mouth. Enjoy!